It is the 25th of the month and you know what that means...Time for the February Rudolph Days Challenge. Here is a quick recap of the Rudolph Days Rules. 5. The winner will be selected by random draw and announced on the first day of the following month. 6. Prizes will be shipped anywhere in the world. 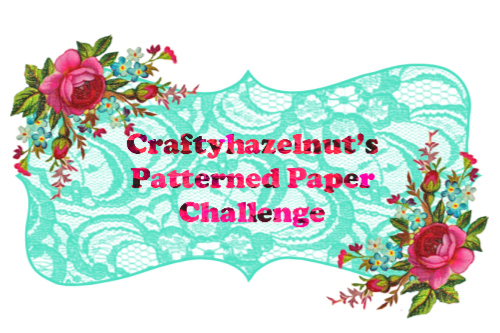 Last month's winner, Sally Miller of Krazy Jayne blog is a guest designer this month. 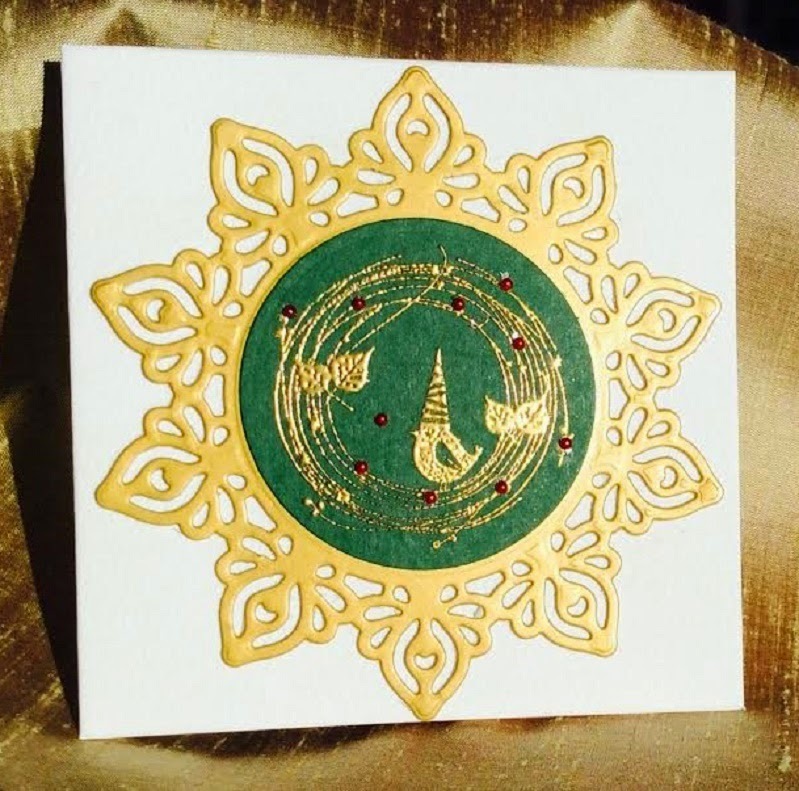 Sally has made this gorgeous gold embossed, and very, very pretty bird card. So very shimmering and full of sparkle. I love the way she has echoed that gorgeous gold with the diecut mat! We have a second guest designer this month. Tanya of Little Art Cottage blog. Tanya was the lucky winner of the January Rudolph Days challenge. I love the soft and pretty colours of her adorable snowman image! That snow is so realistic...feels like Christmas already! Here is my March Rudolph Days card. It is simple in design but I really enjoyed making it. In keeping with my aim of making some slimmer cards this year, this one will definitely fit through the regular postage slot. I stamped the Hero Arts Winter Scene image onto a snippet of white card and then chalked the sky around it. I thought it seemed sort of flat so I went over that chalk with some glimmery chalks that are about 10 or more years old. They are made by Yatsutomo and the intensity of the colour can be changed by how much water you use There is a lovely shimmer to the sky now. Placed that matted image onto some glitter card and then mounted that finished topper onto a 5 1/2 x 5 1/2 square card. Suddenly, I remembered that when we were moving, I missed a Snow Covered Trees theme at my Christmas Card Club. So I pulled out my Zig glue pen and fine white Stampendous Glitter added some snow to the trees and a few snow drifts for good measure! Makes me feel a little better that I caught up a bit with this card. Here is a little close up of that snow...I am happy with this card as it seems more arty than my usual style. The March Rudolph Days Challenge prize is this Dazzling Snowflake die. Good luck in the draw! Hand up Mo, I know after promising that I've not joined in yet, truth is I've not had a moment to think outside TL the last few week, until the weekend that is when I went scenic as you saw. Messge to self for today - Christmas card !! Pleased the move is all falling into place, sounds like you will soon be sorted. ooooooo! I think I'm first again. congrats to you gust designers, and didn't they make such great cards. Love the fab scene on yours too. I do admire all the work involved on a scene on a card, and yours is perfectly stamped, and created. Three fabulous cards - it's hard to believe this is the third Rudolph Day this year! OK Mo, pangs of guilt finally for got the better of me, amazing what you can do before work if you actually put your mind to it. Terrific GDT cards and I love your snowy scenic Rudolph Day card too Mo. LOVE that die . 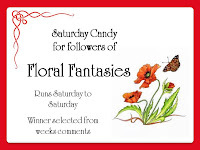 . . .so please put my name in for this month's draw. At last! I've actually made a Christmas card and joined in! Just love the creations this month, such variety of styles. Your and your GD's cards are all so beautiful! Why does Rudolph Day sneak up on me every month - I will get myself organized and make a card! Thank you for the inspiration and motivation to get my Christmas cards made early! Hi Mo just entered but you need to delete entry 14 as I put the wrong link and it won't let me delete it! Sorry! I love your snowy scenic card with some lovely sparkle. Super cards from your guest DTs as well. Thank you for the chance to win the gorgeous die. beautiful christmas cards by the GDT and you, maureen! i love your chalked sky and wintery scene. we're supposed to get snow tomorrow and it looks and feels like it's still winter instead of spring. :/ thanks for popping by to comment; i barely submitted my card and you visited! Love that the sample cards have three very diistinct styles. Beautiful die; please put me in the draw. Fabby inspiration from your GDT and yourself Maureen - i so love your Xmas scene. Gorgeous card Mo and I love those trees and the way you have presented them. Happy Rudolph Day!! Gorgeous makes showcased here today. Love them all. Will try and join in soon. Super snowy scene. Hugs Mrs A. My first comments seems to have gone astray, so I am back to have another go. I love your ´chilly´card. I always enjoy scenic stamping, whether from one complete stamp, or using lots of little elements, and this is no exception. I'm so sorry I won't make it for this month's challenge. But I still wanted to stop by and look at your and your guest designers makes. What beautiful samples, Sarn! I love your wintery scene with the snowy trees! All three cards are stunning Mo! As usual I love the landscape, it's the style of Crimbo card I love a lot, then that gorgeous cute snowman and then the first one - all three are stunning! Great cards Mo! Love them all. Just playing for fun as I already have this fantastic die- whoever is the lucky winner is going to be a very happy bunny! A little late to the party but I've just uploaded my entry! Hi ScrappyMo, hope you're okay! I love how you've chalked the sky, I think it looks mint! A lovely post and wonderful cards by all! Your Christmas tree card is fantastic, Mo!! Thank you so much for linking it to my NBUS Challenge #4! I know you entered early on, but I don't actually see this one in the gallery, so maybe you forgot to link, unless it's not under "scrappy mo" in the name and I haven't seen it yet. Could you double-check, please? I'm so glad you shared this awesome card with us at Merry Monday! Phew, I managed to make a card in time this month and add it! Your card is very beautiful, a lovely winter scene, I especially admire the fantastic sky. The GDT cards are also fabulous, lots of inspiration there. Fabulous card, Thank you for joining us for Merry Monday. Your guest designers created lovely cards. I love the gold embossing on that beautiful gold die cut on Sally's card. And the image on Tanya's card is so sweet and the soft colors she used are perfect with it. As for your card, it is lovely. Such a tranquil winter scene and I love the sparkle. I had fun making a card to play along. And I think this is the first year I've ever made a Christmas card this early. Woo Hoo!!! Hello Mo... **waves frantically**, took me a while to get to Canada but I'm here at last with a card! Love the inspiration this month, very pretty. Glad to hear you're settling in to your new digs. A gorgeous selection of cards - lots of inspiration! Oh these are so fabulous!